Discrimination against persons with a disability is an age old problem. The latest cascade of scapegoating them involve the mass shootings happening across our country. In fact, persons with a mental disability are no more likely to be violent than nondisabled people. Yet society engages regularly in knee-jerk blaming of violent actions as a mental health issue – particularly when the perpetrator is a white male. This false narrative fuels oppressive ways of thinking about mental health and those with disabilities. Click here to learn more about systemic oppression, how to recognize it, how it affects us, and how to interrupt it. This story illustrates just how much racism continues to permeate our society. Even as the United States continues to coalesce into a blended society, in too many regions and communities, the scourge of oppression remains unacceptably high. Youth are especially susceptible – both as oppressors and the oppressed. That’s because of a sore lack of perspective; they just don’t know this nation’s complete, unvarnished history. Learn more about racial oppression and what you can do about it at Beyond Diversity. “When our population is much more than 10 percent, why do we have only 10 percent of the senators as women?” — Sen. Margaret O’Brien, R-Portage, Mich.
(From Deadline Detroit) — With females accounting for more than half the population, oppressive acts of sexism remains a persistent issue among state legislatures. At its center is the stereotyping of gender roles and according to many, it’s not a Republican issue or a Democrat issue. David Haglund, a senior editor at Slate who runs Brow Beat, Slate‘s culture blog, interviewed Maria Bamford and spoke about her ability as a stand-up comedienne to “engage with questions of mental health in a way that’s serious and thoughtful as well as really funny.” To read more, click here. Ableism is prejudice against people with disabilities, and like every other -ism, can take on many gnarly forms. 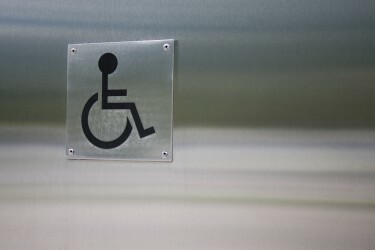 Whether it’s negative societal attitudes, the dearth of accessible housing, job discrimination, or targeting an individual for a crime, in her post on The Harirpin blog Caitlin Wood speaks frankly about aspects of ableism. To read more, click here. What is it like to constantly be asked, “Where are you from?” and treated as if you’re not from the United States? A blogger of Chinese and Jamaican ancestry answers that question in a provocative account of a restaurant conversation in Monteagle, Tennessee. Click here to read the article. Look at her. That’s no fair. Why do I have to walk? She’s taking advantage. —I’m a wheelchair user in a large museum. I felt like my struggles with accessibility were nothing and the young, able-bodied man who said this expected pity. —Man at the bus stop. I am an Asian American woman. I was reading Jane Austen. In English. To read the many posts on the blog and perhaps to submit your own, click here. This personal narrative from the Shakesville blog offers insights about the way sexism affects everyday life for women and dampens their ability to easily trust men. The article strikes a chord with the experiences of other marginalized groups like people of color and persons with disabilities. To read The Terrible Bargain We Have Regretfully Struck by Melissa McEwan, the founder of Shakesville, click here. This is an interesting article about the way microaggressions affect people in their everyday lives. Click here to go to the article.